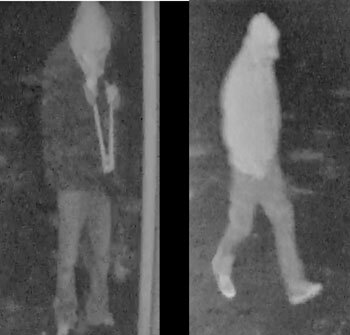 Tag Archive | "Rustics Sports"
The Montcalm County Sheriff’s Office is seeking information on two suspects who broke into Rustic Sports, in Howard City, in the wee hours of the morning on January 30. At approximately 2:52 a.m. deputies with the Montcalm County Sheriff’s Office responded to an alarm at Rustic Enterprises, 519 South Ensley, Howard City. Upon arrival, it was determined that the business had been broken into. The investigation revealed that the business, also known as Rustic Sports, was broken into by two individuals. The individuals were captured on surveillance cameras and appeared to be clothed to help conceal their identities. They appeared to be wearing hoods and had their faces covered. At one point, one of the individuals appeared to be wearing a backpack and carrying a bolt cutter. The other individual was also carrying a crow bar. An inventory is still being conducted regarding the stolen property. A portion of the surveillance camera footage has been posted to the Montcalm County Sheriff’s Office Facebook page and you can see it at https://www.facebook.com/MontcalmCountySheriffsOffice/. Anyone with information regarding this crime is encouraged to call the Montcalm County Sheriff’s Office at 989-831-7590 or the Montcalm County Sheriff’s Office tip line at 989-831-7593.